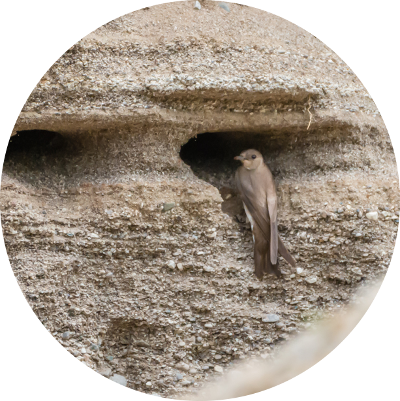 Meet at 10 am at Ron and Linda Core’s farm (4082 Confederation Line east of Mandaumin) to observe bank swallows, a species at risk, as they enter and leave their nests to feed their young. Ron refaces the bank every spring so the swallows can excavate new nests. Bring your binoculars. Ron will also take us on a hike on their nature trail to view wildflowers and trees.